New! Multiple Language support added for opencart 2.0+ and 3.0+! Note: To update to Multiple Language Module, Existing module users have to uninstall module from store admin and add payment methods again. New! 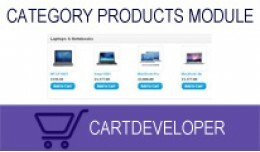 Opencart 2.0 support added..
Maximizes your shop's user search experience. 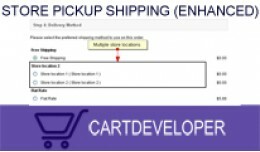 This module gives your search box autofill functionality for your cart users, this module give your users good user experience. Features -------------- 1) Installable Module. 2) Fast auto comp.. 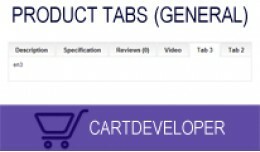 Product Tabs (General) for OpenCart =========================== An easy way to add additional information tabs to your all products. This mod adds tabs to all your products. Your added tab will be add tab to all your products. VQMOD Re..
Let the product found cheaper somewhere else from your customers. Features ------------- - Customer can submit a request if they found the same product cheaper somewhere else in other site. - Admin will receive the information about the sa.. This module shows Manufacturers list in module section like categories left navigation menu. Module is useful to show your Manufacturers/brands at the first glance on your site. Features ------------- 1) Installab.. This module integrates Google Analytics Enhanced Ecommerce - Web Tracking to your site. It supports: - Measuring Product Impression - for category, search, manufacturer pages - Measuring a Product Details View - Measuring Transactions - Pro..
Google Enhanced Ecommerce - Web Tracking for ope.. This module Tracks Ecommerce data using your Google Analytics Ecommerce Tracking with both classic and universal account support Very easy set up, just enter Google Analytics Account ID and you done! No confusing configuration required. 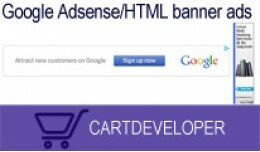 VQ..
Google Adsense for opencart New! Added two new ad positions, now you can add ads to left and right corners that stays always there. Add Google Adsense to your Shopping cart. Features ====== - Installable Module - Google Adsense on an.. This module allows you to put FAQs by category in your shopping cart. Features ------------- 1) Installable Module. 2) Easy Installation. 3) Category wise FAQs 4) Nice accordian style FAQs ..
New Feature: - Event Calendar Detail view added for OC 2.1+ version. - It automatically detects module position and shows detail view for content top & content bottom positions. 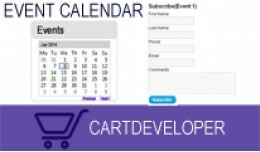 Event Calendar is an extension module for OpenCart which is u..
Module to set discount by Manufacturers, Admin can set discount by manufacturers, option to set flat or percent amount for discount, discount can be seen in shopping cart and checkout pages. Features -------------- 1) Installable Module. ..
New! Select content box for particular Manufacturers New! Select content box for particular Products Put as many content box as you can in your shopping cart! EVEN FOR EACH PARTICULAR CATEGORY PAGES Put anything like third party ad code.. Supports OC 1.5.x & 2.1, 2.2, 2.3 New! 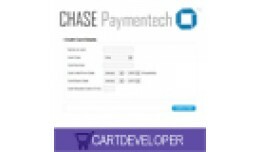 Updated to work with latest API - 2014-07-17 Accept your payment via credit card using Chase Paymentech Orbital. 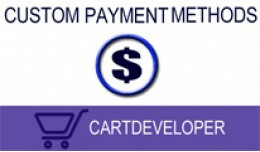 Payment Gateway URL: http://www.chasepaymentech.com/ This module integrates API to ..
Chase Paymentech Orbital Payment gateway for Ope..
Show your category product as module, set them on any page anywhere. Best use of module is list your main category products in your home page! Module Features ------------------------- - Plug and Play Module - V..
Module to set image slide show in page background for home page. Features -------------- 1) Installable Module. 2) Easy installation. 3) Easy admin interface. 4) Set option for Slide interval. 5) 7 Different effec..
Update! 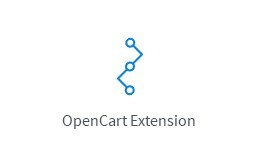 Opencart 3.0.x Support added Update! Opencart 2.3.x Support added Update! 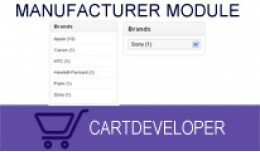 Opencart 2.2.x Support added Update! 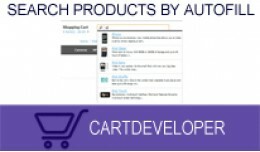 Opencart 2.1.x Support added Update! 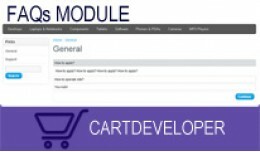 Opencart 2.0 Support added This module is built to give admin facility to add ad..